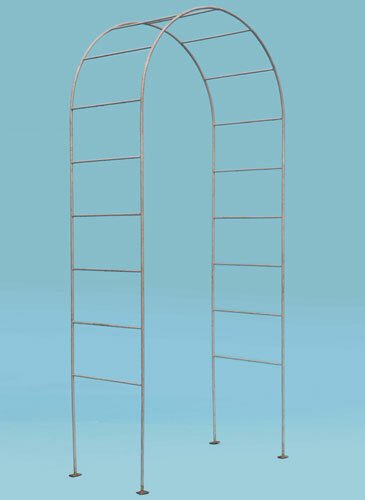 The photo to the left shows an arch which has a galvanised finish (extra cost for this finish). The standard price (finished in 2 coats of semi-black) is £140. The photo to the right shows a small arch finished in semi-black metal paint (our standard finish) and costs £105. 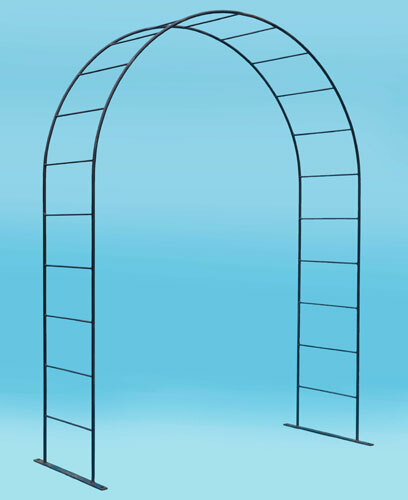 The photo to the right shows a larger, heavier arch. The price for this (in black, as photo) is: £190. 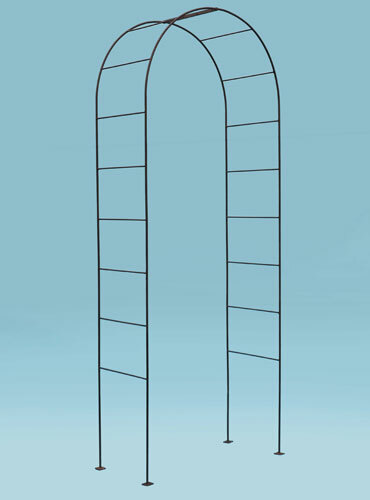 The arches come with a choice of separate pins to secure arch to ground or extended legs to be dug / back filled into ground (both about 18" long).